First off all, congratulations to the Monaghan ladies team for their victory over Tyrone in the Ulster Final last Sunday. Well done ladies. We are all now looking ahead to another action-packed weekend this Sunday and it’s a great opportunity for you all to show off your county colours with pride and support the county Senior & Minor teams when they compete in the Ulster Final. It all takes place at St. Tiernach’s Park, Clones this Sunday 21st July and on behalf of everyone at the Rockcorry GAA club I would like to extend our best wishes and good luck to both teams and urge all our members to go along and cheer on the lads and be that extra man! Good luck lads, do yourselves proud. Come on MONAGHAN. Our upcoming golf classic takes place on Saturday 17th August so please spread the word to all your golfing buddies. The cost to enter a team is €120.00 and to book your place please contact our chairman Jimmy McGeough 087-9457279 or Ollie McQuillan 087-2100800 and a member of the organising committee will be in contact with you to discuss a convenient time for you to play. There are also exciting opportunities for businesses, families and individuals to advertise by sponsoring a tee or a green for a reasonable €30 or €50. If you are unable to play golf but would still like to make a contribution perhaps you would be interested in sponsoring a prize for a raffle. If so please get in touch because we would be delighted to talk to you. 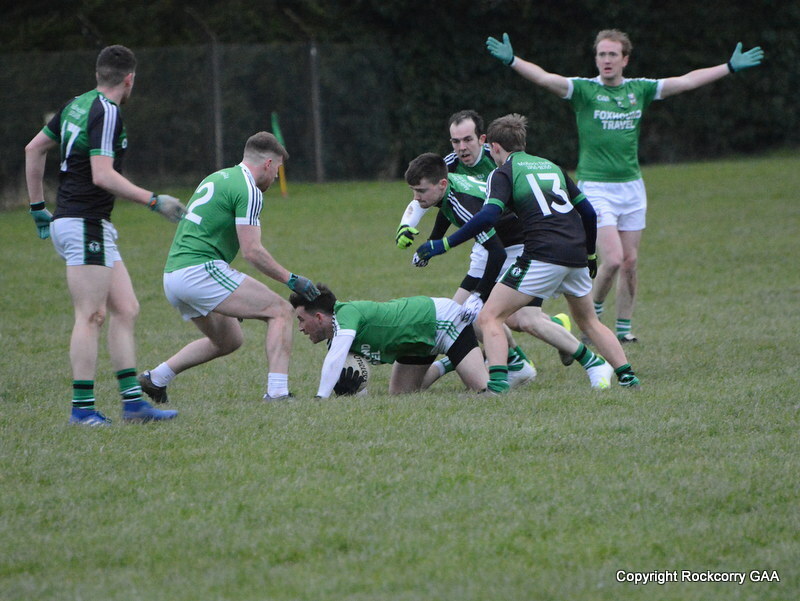 Sadly, on Wednesday 10th July, we were not able to field a team against Aughnamullen due to a number of players away on holidays and had to concede the points. 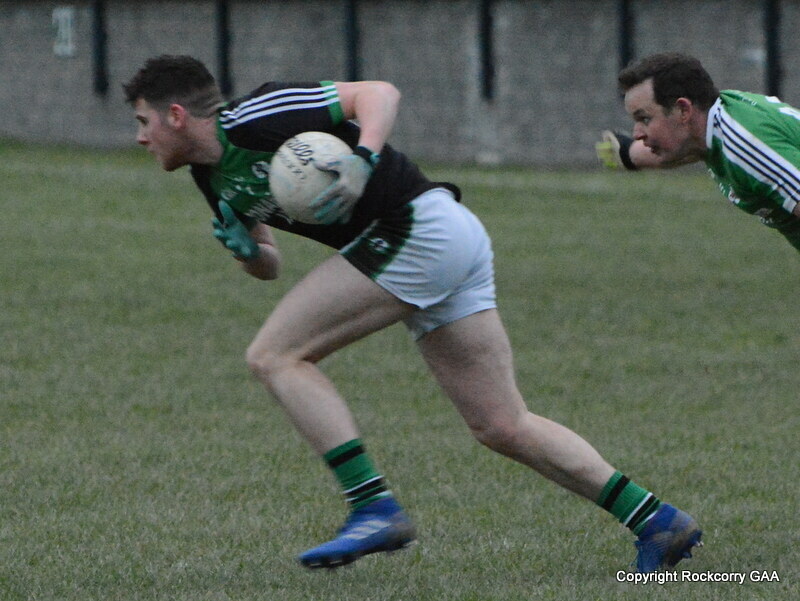 The next game for the reserve team will take place on Wednesday 24th July when they host Truagh at Pairc Naomh Mhuire and the game has a throw-in time of 8.00pm. They are back in action on Friday 26th July with another home match when they take on Oram at 8pm. The next game for the under 12 team is on Saturday 20th July when they play host to Donaghmoyne. The game has a throw-in time of 12 noon. 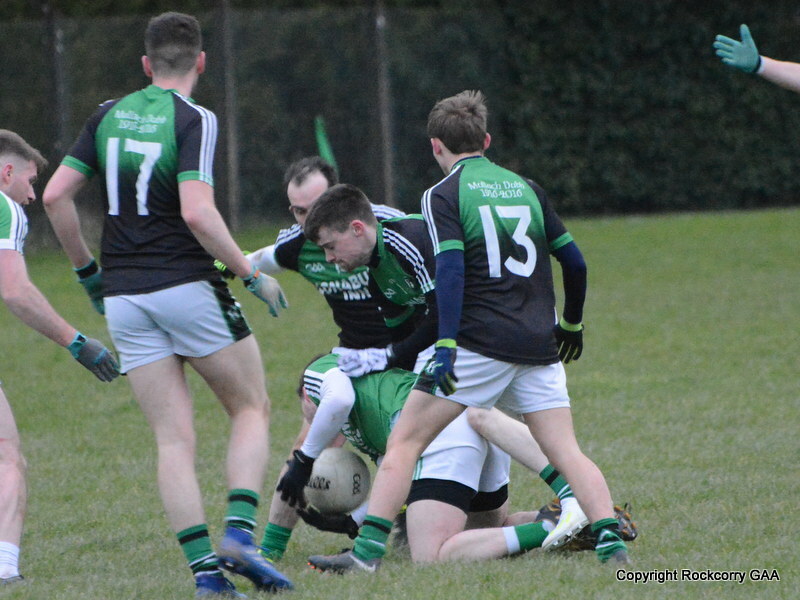 Our under 14 team played neighbours Agahbog in the Gerry’s Prepared Veg Division 4 league campaign last Saturday 13th July and for long stretches of this entertaining game they were more than a match for their opponents. However, it was Aghabog’s ability to convert possession into scores that proved the difference as they secured a comprehensive victory. Both sides produced some fine scores and displayed good quality football but it was the visitors who always looked the sharpest and their greater ability to create goal scoring chances throughout the game proved critical in the outcome of the match. Our lads battled gamely throughout the course of this encounter and played well as a team and put some very impressive moves together but despite their valiant efforts they went unrewarded on this occasion as Aghabog claimed the spoils with a comfortable winning margin. 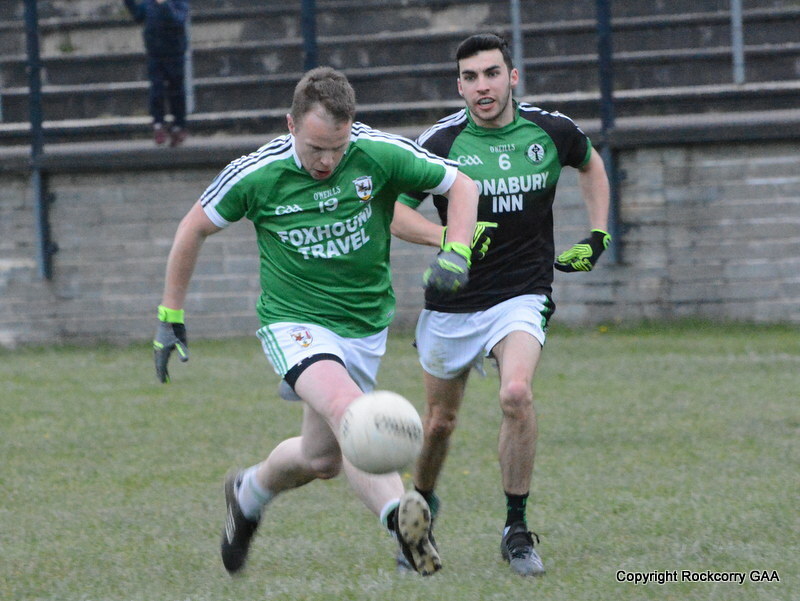 Their next match is on Saturday 27th July when they travel to play Killeevan and the game has a throw-in time of 12 noon. 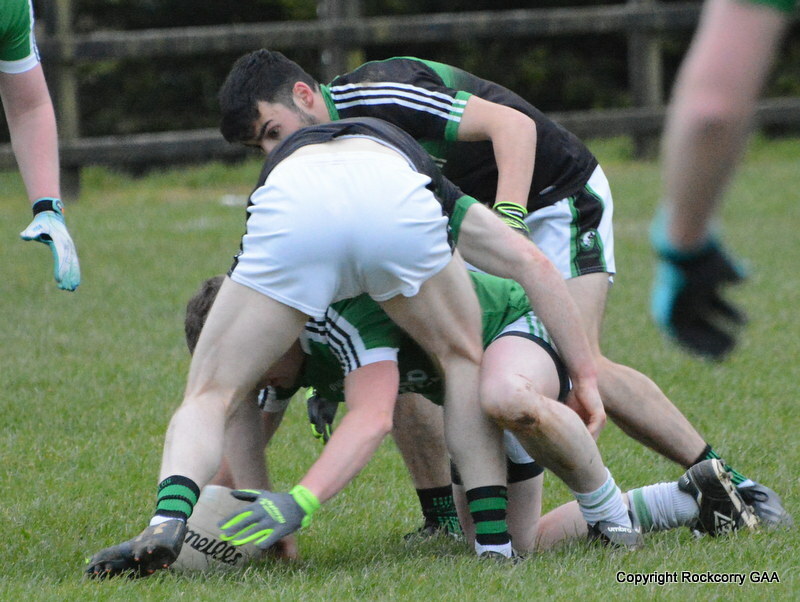 The next game for the under 16 footballers is on Thursday 25th July when they host Castleblayney. The game has a throw-in time of 7.30pm. The under 10 footballers travelled to Cloghan, Annyalla last Saturday 13th July to take part in another exciting Go Games blitz. Last week was a glorious week of sunshine and thankfully the lovely dry weather conditions continued as the boys and girls participated in an action packed two hours. There was a great turnout of kids and parents and it is always wonderful to see the kids perform at this level and enjoy themselves in a fun environment and that’s what’s it’s all about. They played games against Aughnamullen, Killeevan and Aghabog and well done to all the boys and girls and their mentors who took part in the blitz. All kids acquitted themselves exceptionally well, showing plenty of enthusiasm and displayed loads of energy in very warm temperatures, and the signs are very positive for a bright future. Monaghan take on Donegal in this year’s Ulster senior football championship final this Sunday 21st July and our juvenile committee has decided to run a “Guess the Score” competition. This is your opportunity to test your knowledge and predict the score of the game. All proceeds will go towards costs associated with running all our juvenile teams and your support would be deeply appreciated. All underage players are reminded to make a big effort to fill your Guess the Score cards and if you have not already received one please talk to your team coach. The Monaghan GAA Kelloggs Cul camps provides camps for boys and girls between the ages of 6 and 13 with an action packed and fun filled week of activity during the summer holidays which revolves around enjoyment and involvement in GAA games. For your information it takes place in Ballybay during Monday 22nd July to Friday 26th July or alternatively in Latton between Monday 29th July to Friday 2nd August. For a full schedule of dates and venues please visit our website www.rockcorrygaa.ie for more details. The numbers drawn on Monday 15st July were 5, 15, 16 and 19. There was no jackpot winner of €3,900.00. The following won €15 each :- Amy Jo Kierans, Aghabog, Ava, Patrick & Fionn Tate, Rockcorry, George Mills, Rockcorry, Shauna Hagan, Greenans Cross, Gerard Lynch, Clones, Tracey, Dwayne & Kyle Rooney, Rockcorry, Nickey Calvert, Rockcorry, Pat McCabe, Rockcorry. Next week the jackpot will be €4,000.00 and the draw will take place in Fitzpatrick’s. Thank you for supporting our Top 4 lotto draw. On behalf of everyone in the Rockcorry GAA club I would like to convey our deepest sympathies to the McCormick family, relatives and friends on the passing of Bridie McCormick, Clones Road, Monaghan. May she rest in eternal peace.